Digital Revolution has changed the way business is being done in most of the countries. From commerce to eCommerce, it was a colossal journey for a multi-faceted industry. On one side of the coin eCommerce consumers from developed countries are enjoying the mammoth connection, speed, and diversity of online products. In developing countries like India, eCommerce is on full-fledged with dozens of websites, apps, and services competing to rule the immense market. However, on the other side, there is Zambia, a developing country in Africa with a raw market full of potentials for eCommerce start-ups. E-commerce in Zambia is on revolution these days. 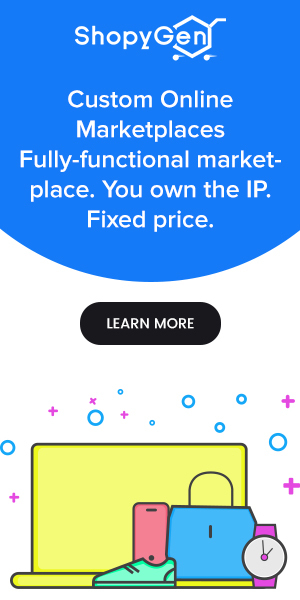 Each day some new product is being introduced to the offline market. With growing internet penetration, the market is encouraging entrepreneurs to offer an online medium to deliver these products to the people of Zambia. How Zambia is a market with huge potential for domestic eCommerce? What challenges does Zambia own for a domestic eCommerce start-up? 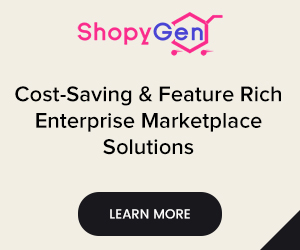 How ShopyGen helped to set up an eCommerce store despite many challenges? We also intend conveying a message that even a challenging market, which is full of hurdles can be converted into a profitable arena for eCommerce with certain tweaks in the business model. We are living in 2019- an era of eCommerce. The ability to order products online and getting delivered from the comfort of our homes is not a luxury anymore. E-commerce sites like eBay, Amazon, and Alibaba are delivering internationally to almost every globalized country in the world. E-Commerce in Zambia is not defined by online stores alone. The current eCommerce trends in Zambia includes much more than that. Domestic eCommerce stores: There are eCommerce businesses like Dotcom Zambia, which facilitate the cross-border purchases from the US, UK, and China. It provides the purchase and shipping services in Zambia for both national and international orders. Zoona is an electronic money transfer service that enables consumers to transfer or receive money digitally across the nation. Consumers use Zoona to pay bills, make loan repayments, and buy e-vouchers. Zambia Revenue Authority allows digital payments of domestic taxes and customs services. National Pension Scheme Authority makes digital money transfer in the beneficiary’s account. Patent and Company Registration Office accepts digital payments from the individuals. When there is no domestic online store the only option, cross-border purchase, comes with an array of drawbacks and bottlenecks to the Zambians. Insane product prices: Sites delivering to Zambia face high costs associated with ICT products and services. The final price involves the cost of product + Custom Tax + Cost of Logistics, which ultimately make a product priced too high for common Zambian consumers. Delivery complexities: Cross-border eCommerce always involves the general lack of consumer trust and confidence. Especially the complexity and high costs of logistics remain a barrier for the consumers. It is hard to trust if purchased products will ever reach them. Even if they do, no one can ensure they will not be defective. Lack of confidence in customer support: Next concern involves consumer support and after-sales services. When they experience a problem, they don’t know whom to approach for support. This also involves the complexity of getting a refund or replacement. 80% of customers feel confident to make a purchase if they are satisfied with the return policies of a site. Unequal opportunities in the marketplace: There is a barrier for people in Zambia when using eBay, Amazon, or even Alibaba. These sites allow purchases from Zambia but do not allow Zambian sellers to sell on their platform. As a result, every purchase a Zambian makes comes internationally with all those added cost and customs taxes. If they would have allowed a Zambian seller, at least for the local sellers, the purchaser would not have to pay the mammoth prices. Giving Zambia its own Amazon-like eCommerce marketplace and expand it to all Africa. Develop a solution tailored and fitting to the challenges of an eCommerce setup in Zambia. Zambia is one of the fastest growing African countries. They don’t have Amazon, eBay, Flipkart, or Walmart in their own country. So Mr. Andrew Kapula, who is CEO of an African telecom company “CEC Liquid Telecom Zambia”, one of the largest telecom providers in Africa continent, saw an opportunity to give Zambia its own multi-vendor eCommerce marketplace. An online shopping mall that works according to the pros and cons of Zambian eCommerce environment. This idea was perfectly aligned with the Zambian government’s interest in digitizing the nation’s economy. Zambian youths- who show a keen interest in digital platforms like WhatsApp and Facebook, were the target user base to kick off this project. Zambian internet economy is booming next to Nigeria and Kenya. Telecom providers like CEC Liquid Telecom, Airtel and MTN are the leading the mission to connect every citizen to the internet at affordable prices. In all this, MD of CEC Liquid Telecom- one of the leaders in this internet connectivity mission, Mr. Andrew Kapula had a vision of a business setup that will boom exponentially in the coming era. One fine day in September 2018, we got a random query from a person called Mr. Andrew Kapula – who is from Zambia. 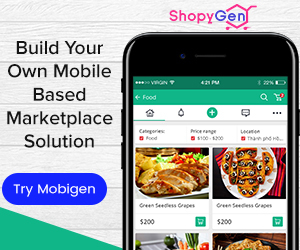 He was looking to build an eCommerce marketplace and was interested in one of our products- Genstore. 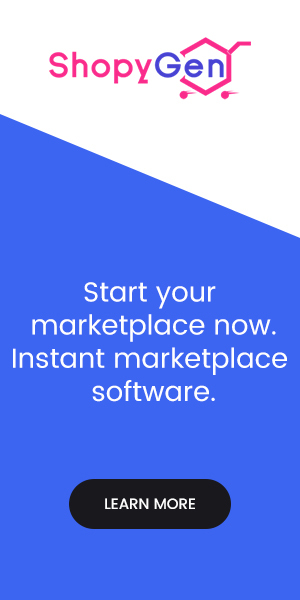 He found us through a Google search for the keyword “e-commerce marketplace software“. When our sales team reached out to him, the fine gentleman explained every requirement in detail. That’s where we came to know about Mr. Andrew’s vision for giving Zambia its first eCommerce marketplace. In this fast-moving era of niche eCommerce sites in many countries, Zambia did not have an online store of its own. They were still reliant on cross-border purchases to buy stuff online. This is where the gentlemen came up with the idea and found us through a Google search to do the job. We analyzed the requirements, performed the feasibility research and designed the first draft of the SRS. The features of the Genstore solution aligned with his custom requirements. 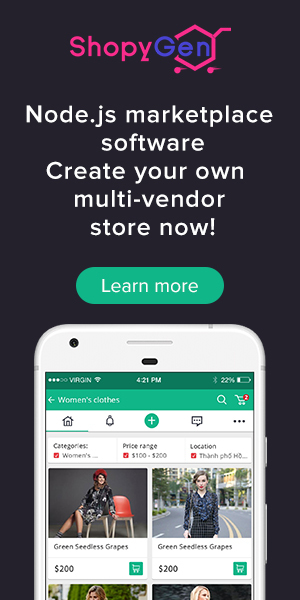 We settled on adopting a few customizations in base features and UI design of our node.js eCommerce marketplace software to fit in the Zambian market. The project objective was clear. We were about to be responsible for building the first online shopping mall in Zambia. A country, where citizens are far more exposed to eCommerce than the actual choices they have. With Shop Online Zambia, Mr. Andrew Kapula missioned a multi-faceted platform for connecting two sides of the population involved in a typical marketplace business. Provide a convenient and user-friendly online shopping environment in Zambia. Give Zambians a 24×7 experience of online shopping with physical stores on the online platform. Typically, a shopping mall lets different shop businesses set up their shops in it and sell their products to the customers visiting the mall. The mall acts as a point of contact between the shoppers and the shop owners. Our client was aiming to become that point of contact and let Zambian shoppers visit his mall and purchase the products. The model for offline shopping malls is simple. Customers visit, purchase, and take products home with them. However, if you break the business model of an online shopping mall, you will find tons of many other businesses living in a single entity. There are businesses and services like vendors, suppliers, drop shippers, logistics, door-to-door delivery and much more. Our client understood each and every opportunity as well as the challenges of the Zambian infrastructure. He knows and is also a part of developing the nation’s infrastructure for hassle-free eCommerce. However, for the time being, the logistics infrastructure was not enough for door-to-door delivery of every product he intends to sell. Considering this difficulty we were presented with two of the biggest challenges for this entire project. The chicken and egg problem of the marketplace model of eCommerce was a big challenge for the client. However, he had plans for it. 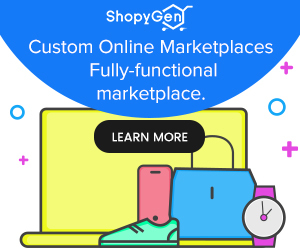 For us, the biggest challenge was fitting our Turnkey solution “Genstore” for connecting physical sellers to the online marketplace. We were served with the following two major requirements that raised the challenges too. Customize the Genstore script to let customers purchase a product online and collect it from a pickup point by themselves. Integrate Zambia’s most popular payment method, Mobile Money as one of the payment mediums in addition to Credit and Debit card. After analyzing the requirements and tallying them with our script, we found the following major challenges of this project. Challenge 1 Pick Up Points: Accommodate pick-up points to let customers select a mentioned location to collect the products. Product-based catalog: Search a product & purchase it. Challenge 3 Shops filter: Let customers filter the shops in their geo-location. Challenge 4 Products: Let customers select products accessible from their location. Self: Buyers must visit, prove the identity and collect the product. Others: Buyer mentions a third-party name and the ID of the person coming to collect the product. Challenge 6 Shopping cart: Implement all the above-mentioned features for each product in the cart. Users can update the shopping cart preferences for each product individually. Challenge 7 Area names instead of Zip code: There is no zip code in Zambia. So We needed to implement all zip code-based filters and events to area names. Based on which the products and the shops will be listed. Challenge 8 Mobile Money: In addition to Credit and Debit Card payment gateways, also implement mobile money payments, which is the most popular payment method in Zambia.